The Lower North Shore is a prime destination for marine observation. There’s something amazing about watching a 45,000 kilogram (99,000 pound) mammal leap out of the water, or swim playfully in its natural surroundings. There’s something even more incredible about watching this from your car window! The Lower North Shore is a prime destination for marine observation. During summer and fall, the waters of the Lower North Shore are a playground for whales. Because of the nutrient-rich waters, many cetaceans migrate to the Coast to feed. In summer, there are more whales along this stretch of coastline than anywhere else in the Gulf of St. Lawrence. With the ocean at our doorstep, you can see whales close to shore without ever leaving land. From some vantage points along the Coast, you can see whales spout as far as 80 kilometres (50 miles) away. For an even closer look, you can take a boat tour and watch as whales follow your trail, breach (leap out of the water), or gracefully lower their flukes back into the water. 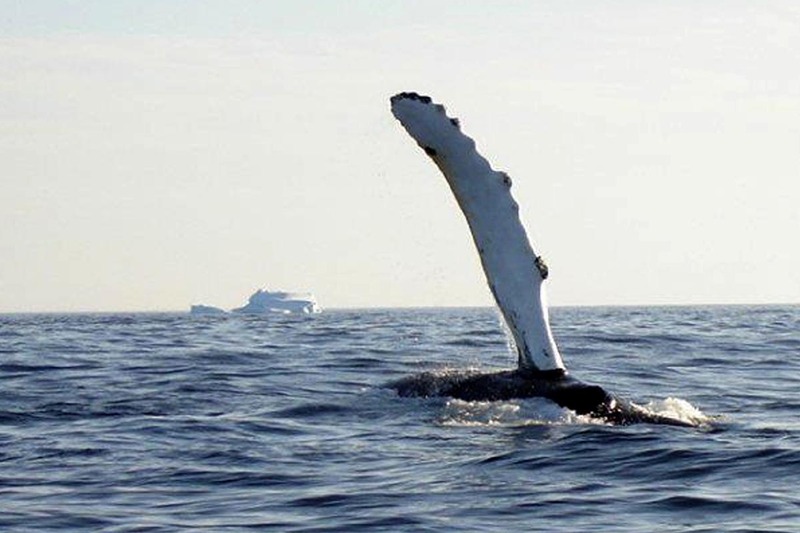 Among the thirteen species of marine mammals in the waters of the Lower North Shore, you are likely to view the Humpback Whale, leaping out of the water or feeding just off shore. These whales are quite large – they are usually 12 to 15 metres (36 to 45 feet) long, and weigh in at 45,000 kilograms (99,000 pounds). You may also see the Minke Whale, a small whale that inhabits the inshore area. They have unique white bands on their flippers. Minkes spend most of their summer and fall in one area. Unlike the humpback and fin whales, their spout is not as apparent. Porpoises and dolphins, known locally as “jumpers,” travel in small groups, and are very inquisitive. They follow boats and are a good indicator of fish in the area. Beluga Whales and Orcas also visit the Coast. If you see a white whale, you can be sure that it’s a beluga. They have been designated as threatened species in Canada. Orcas travel in family groups – you can distinguish males by their large dorsal fins. If you are lucky enough, you may even catch a glimpse of the endangered Blue Whale, one of the largest animals ever to have existed – larger than any dinosaur! Many fishers and marine operators are now documenting sightings of marine species considered to be at risk through a volunteer Observer Program on the Lower North Shore. Species include the Blue Whale, Beluga Whale, Leatherback Seaturtle, and two species of wolffish. 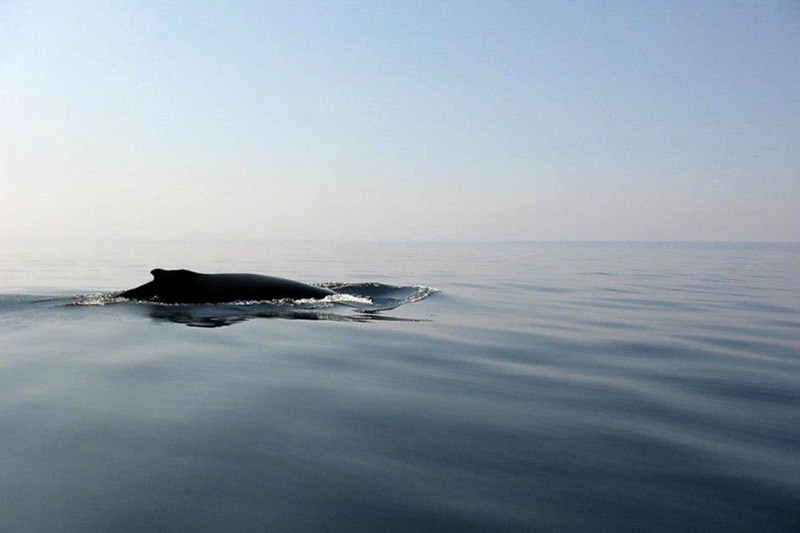 The Fin Whale and Harbour Porpoise are classified as species of concern. These volunteer efforts are helping to conserve these species in the Atlantic Ocean. So whatever you do, don’t forget your camera. Experiences like these don’t come along every day – except on the Lower North Shore!